The condition of a carpet speaks a lot about its owner. When visitors come to your house for a small party or a simple weekend visit, the carpet is among the first items that would immediately be noticed. Dirty carpets could give bad impression to your visitors and, of course, you don’t want your friends to talk about how dirty your carpets are! Who wants a dirty carpet, anyway? You want them cleaned regularly, you want them to always look new and clean but you don’t have enough time to keep them tidy. Or you may have enough time to do the cleaning but you don’t actually know how to clean the carpets well. The good news is we can help you out. We understand your needs and we are ready to bring to you a proven and cost-effective solution for all your cleaning services. For over 10 years, Stain Pro has been providing effective steam carpet cleaning services for households, offices, and industrial customers around the greater Brisbane areas, with 100% Satisfaction Rate and Money-Back Guarantee. Our expert and experienced staff offers tailored solutions for all our customers. Whether you are a house owner looking for someone to clean your living room carpets, or an office manager seeking a quick yet high-quality clean-up of your office carpets, we have a tailored service that will not only fit your need but will also fit right into your budget. 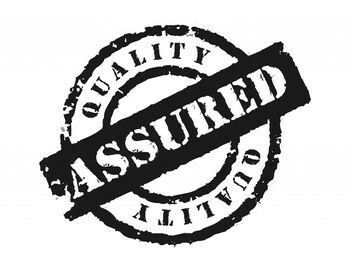 All of our packages come with 100% Satisfaction Guarantee and we are always available to answer any questions or concerns you have. For fast quotes or questions about your job please contact us today. Looking for Steam Carpet Cleaners? We have a small family company who not only take pride in the carpet cleaning we do but also in making sure our customers are always happy, Call us today to make your booking.